His pilot is one of six competing in the Australian Broadcasting Corporation's "Comedy Showcase." At 9:30 p.m. this Wednesday night in Australia, the Australian Broadcasting Corporation made available on its iView service six specially commissioned TV pilots. 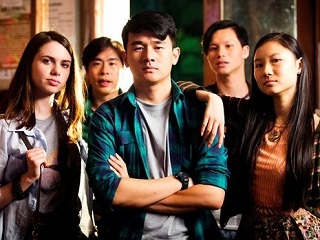 One of them, Ronny Chieng: International Student, is by The Daily Show correspondent of the same name. It will be competing for the public’s votes along with five others, with the most popular entry to be turned into a full series. The other TV pilots are The Future Is Expensive (Eddie Perfect); Bleak (Kate McLennan, Kate McCartney); Moonman (Lawrence Mooney); The Letdown (Alison Bell); and The Legend of Gavin Tanner (Mad Kids). More info about the shows here.